Clay is not easy to work with. One day my son returned from school with a white substance on his clothes. When I asked about it he replied, “Sorry mom, my clay was too wet.” His class was attempting to make cups as gifts, but someone put too much water in the clay mixture. Instead of a firm sturdy, pliable clay that could molded, what they had to work with was a sticky, gooey, weak mixture that refused to conform to the desired shape. Before clay can be put upon the wheel, it has to be properly prepared. It has to be supple enough to adapt to change, yet firm enough to not collapse under pressure. Just like clay, before God can begin remaking and changing us, there are some preparations that have to occur. God sent Jeremiah down to the potter’s house to reveal more of Himself in a very tangible way. God still uses life as a classroom, guiding us into His truths. Every event, hardship, failure, sin, and success is a part of our personalized lesson plan. Learning the lesson will require being able to see the situation through God’s eyes. His ways are not our ways, and His thoughts are not our thoughts (Isaiah 58:8). Seeing life through a heavenly lens puts it in a new perspective. Spending time in His presence can open the door to God revealing to you what type of vessel He wants to make you into. Once you get a glimpse of God’s vision for your life, you have to then be willing to go through His process for change. No vessel is so flawed that it cannot be made new. Each can be re-worked into a useful vessel in the hands of the Potter. Brokenness is a prerequisite for a life change. It is a state of complete yielding to doing things God’s way. You no longer desire for there to be any distance between you and God. You can feel the disconnection that comes from unconfessed sin in your life. Your desire is to turn away from whatever has marred you. You want nothing more than to be restored. I love how the scripture states it “marred in the hand of the potter.” Even when you mess up the worst you can imagine, He still has not left you alone. Your life and destiny were always in the palm of His hands. Jesus shows us that being crushed is not a sign of defeat, but a part of God’s plan for redemption. Accept God’s invitation to take all past sins to the cross, nail them there and leave them. Then allow him to place you on the potter’s wheel. 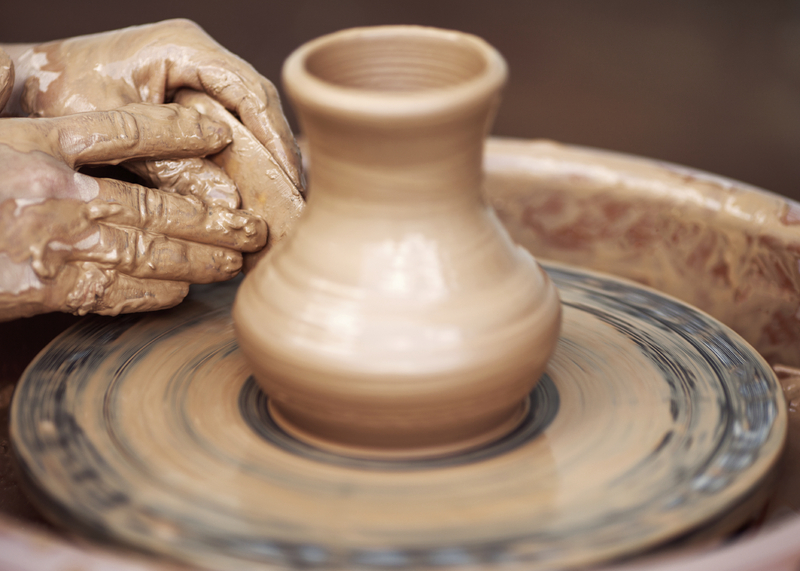 Once reduced to the point of wanting nothing more than the potter’s touch, you are ready to be molded. You have come to the end of yourself and what you feel you can do to change your situation. You now know that only His touch can mend the broken and crushed places in your life. He knows the right amount of pressure to apply to your life and when to loosen His grasp, as He molds you into a usable vessel. Once your new characteristics begin to take form, you are moved into a season of intense heat. God’s loving fire comes to strengthen you leading to permanent change. This fire may not feel loving during the process, but as impurities are pushed out you are drawn closer and closer to God. It is during this stage that God adorns you with the glaze of His glory, and you become a living reflection of Christ. Once taken off the potter’s wheel, you are never alone. Rather than simply sending you off to fulfill your purpose, the potter deposits a part of Himself inside of you. “Be filled with the Spirit.” (Ephesians 5:18) He fills you with Living Water so that you may pour out His love and truth into the lives of others. It is not something that you can do on your own, but is a gift from the potter. It is a sign that He is ready for you to be put into service. It does not suggest that you have reached perfection, but rather that you are now useable for the purpose for which He created you. He has never been interested in perfect vessels, only usable vessels. Do not be afraid of failure. If you become marred, He can make you over again. 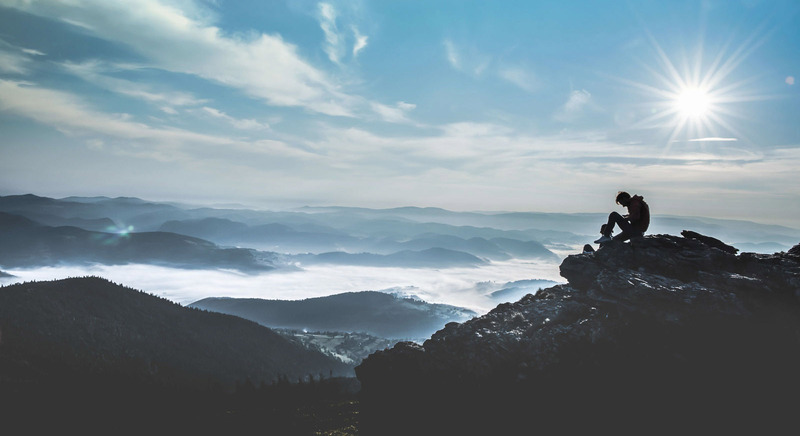 Dr. Saundra Dalton-Smith speaks on the topics of eliminating limiting emotions, finding grace in difficult places, and experiencing personal renewal by drawing near to God.